Optically, the eye works very much like a camera, as if the cornea and the lens of the eye were the lens of the camera and the retina were the film. Light penetrates the eye through the pupil and focuses on the retina thanks to two natural lenses: the cornea and the crystalline lens. Photosensitive cells on the retina then transmit the visual stimulus through the optic nerve to the brain cortex. The brain analyzes, memorizes and identifies the image. The eye is not designed for our modern way of life, which can cause lasting damage to the way that it works. From our mother’s breast to the end of our studies, then in our professional life, working distances, posture, quality and light intensity all cause stress and visual fatigue. Ineluctably, after the age of 45, presbyopia or farsightedness is a natural development that makes it difficult for the eyes to focus actively on nearby objects. 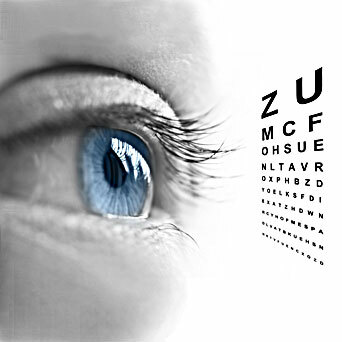 After 50, pathologies like cataracts, glaucoma or age-related macular degeneration (ARMD) can occur. This is why it is essential to consult an ophthalmologist at the first signs of visual fatigue. It is also advisable to make a first ophthalmological appointment for the child from 6 months.